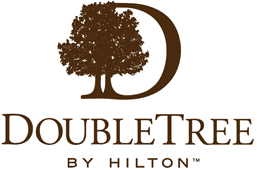 Doubletree by Hilton. Live Pricing. 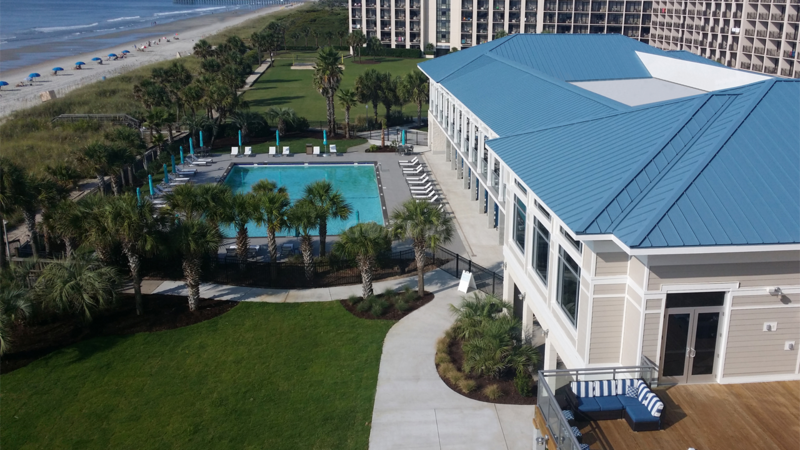 Doubletree by Hilton offers nearly 500 oceanview rooms and is beautifully situated on ¼ mile of the most peaceful, beautiful beaches on the south end of Myrtle Beach’s Grand Strand. 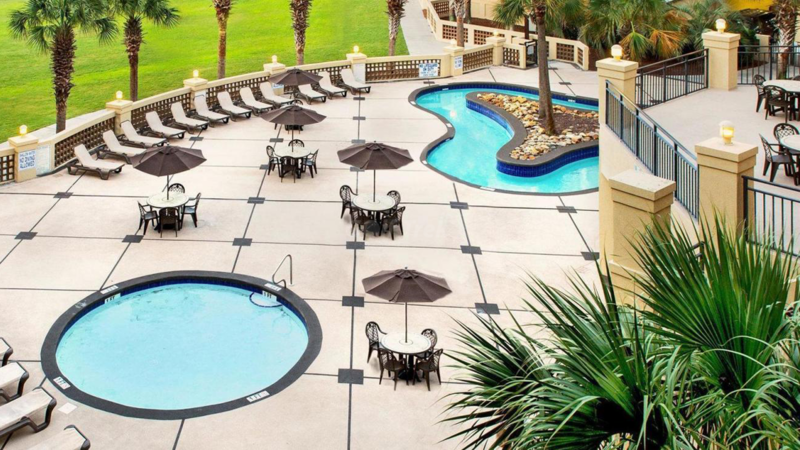 This 27 acre resort offers 6 Pools, 2 Lazy Rivers, Fitness Center, and Miniature Golf. Restaurant Snack Bar Conference center consisting of 35,000 sq. ft. and The “landmark” Doubletree by Hilton beach pier. 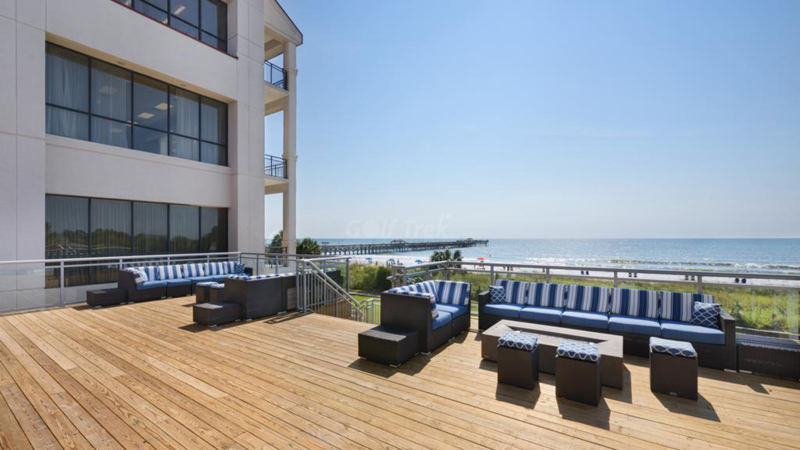 The popular pier separates the resort’s beach from the neighboring hotels and resorts, creating a peaceful oceanfront escape just minutes from all the excitement and fun Myrtle Beach has to offer. 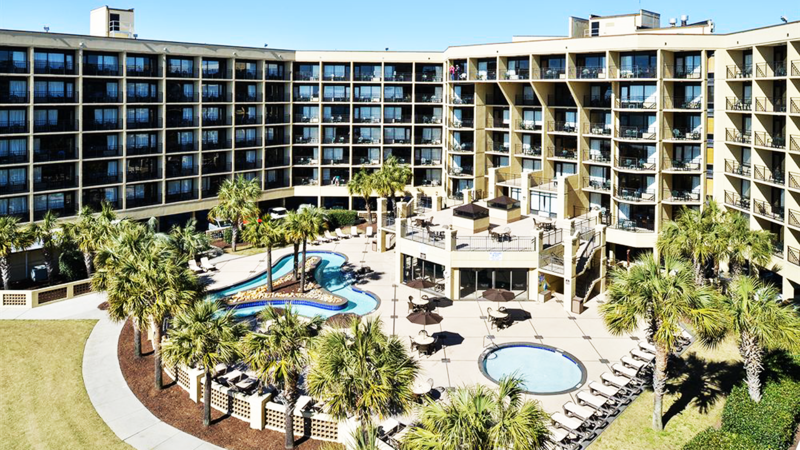 With incredible live theater, famous golf courses, and an abundance of shopping and dining opportunities, Doubletree by Hilton is the perfect hub for your Myrtle Beach vacation.